Products liability involves a seller, manufacturer or distributor being held responsible for putting consumers at risk by placing a defective product in their hands. Jorge P. Gutierrez Jr., Board Certified Civil Trial Lawyer, is a products liability attorney who can provide legal representation, to ensure that you are awarded any compensation you are entitled to.In the U.S. there are regulations that guide the manufacture of products, and, as a society, we tend to be confident that the products we are using on a daily basis are perfectly safe to use. We have a right to expect that products are free from harmful defect. Many tens of thousands of people suffer harm and have a valid case of products liability against a manufacturer, distributor or seller each year, and The GutierrezFirm is needed to right a wrong. The product in question was produced and sold to you by the manufacturer. At the time the product was sold to you, it had a defect. The manner in which you used the product was one that could be reasonably anticipated. You suffered injuries as a direct result of the product defect. You suffered damages as a result of the defective product. The product has defective design. The safety of the product was misrepresented. There has been a breach of the implied warranty of the safety of using a product for a particular purpose. The defective product was produced negligently. There has been a breach of the implied warranty of the merchantability of the product. You accepted the risks upon purchase of the product. Your injuries were either pre-existing or happened during an intervening event. Either you or the vendor caused the damage with inappropriate storage of the product. The manufacturer is not the party responsible for the defect. The product was delivered during transport by a delivery service. 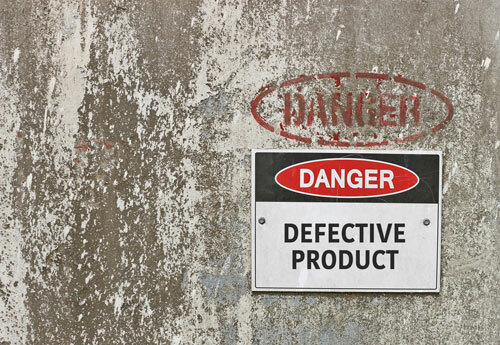 Have you been injured by a defective product? If you need legal representation in a products liability claim, conduct The Gutierrez Firm today.